Enjoy an exclusive experience in the racecourse in a gorgeous atmosphere of the spa town with your family. Accept our invitation to attend horse races in a peaceful location of Carlsbad. Horse racing has been firmly connected with the history and tradition of the town, enriching the local sports and social life since the end of 19th century. 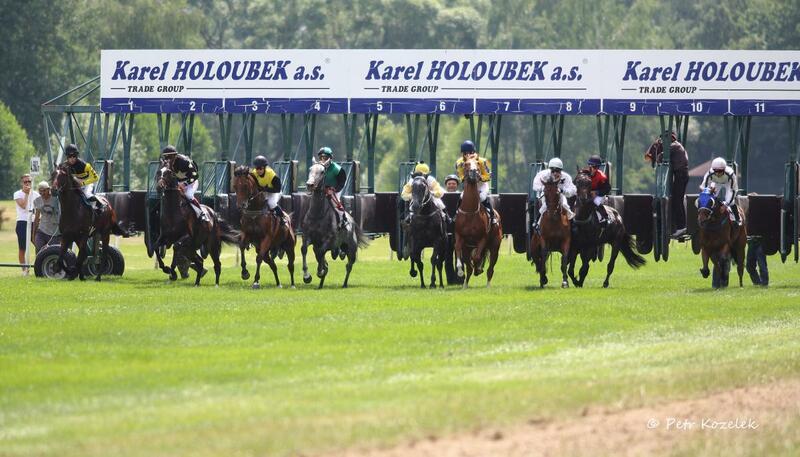 The events held in the Carlsbad racecourse are high-prestige events and they are widely attended by both the inhabitants of the whole region and famous Czech and world personalities. The Hipodrom Holoubek Area offers refreshments in a theme Restaurant U Šimla, with lunchtime menus and a wide choice of meals and drinks from the card. If you decide to spend more days in our town, you can stay in a magnificent Hotel U Šimla, located in the area as well.